A detailed support system that targets your specific needs. 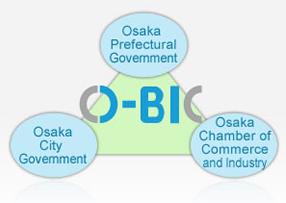 Osaka Business and Investment Center (O-BIC) was established in April 2001 by the Osaka Prefectural Government, the Osaka City Government, and the Osaka Chamber of Commerce and Industry in a joint initiative. As your one-stop service center for business investing, O-BIC provides prospective foreign investors with a comprehensive yet detailed support system. International companies, foreign government offices and economic organizations as well as foreign-capitalized companies located in Japan are invited to use the center to obtain accurate information and essential advice for entering the Osaka market.